As prices for natural gas soared in recent weeks by about 30 percent, many in the green energy sector worried that rising rates would curtail the gradual movement of the trucking sector away from diesel fuel and toward natural gas. However, Jim Harger of Clean Energy Fuels, as well as others in the industry, do not feel this is the case. According to these sources, the price spike is temporary, and the transition to greener fuel sources for trucks is solidly on its way. The price spikes are blamed on two reasons, yet the two are linked closely. Recent record low temperatures in most of the continental United States has driven up demand for natural gas as people attempt to keep their homes and businesses comfortably warm. Since the pipeline infrastructure has not yet been built up to accommodate the influx of harvested natural gas production due to fracking, bottlenecks in the pipeline are slowing the delivery of gas to certain regions, driving the price up even further. However, this situation should resolve shortly, as spring warms and pipeline infrastructures are established. Meanwhile, many large fleet operators are making gradual transitions to natural gas-powered vehicles, for both environmental and cost savings reasons. Though natural gas-powered rig costs about $30,000 more than its diesel equivalent at purchase, the cost of the fuel can save the company this much within the first year of operations. 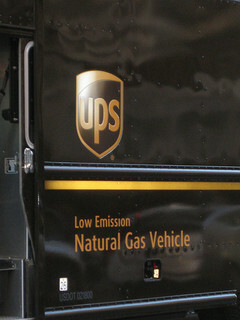 So far, Lowe’s home improvement stores, UPS, Waste Management, Ryder truck rentals, and AT&T worker vehicles are all making significant movements toward natural gas. Issues that are slowing the reception of natural gas include a lack of established infrastructure for fueling the vehicles and the high initial cost of the natural gas trucks. Since natural gas is less dense than diesel, fuel tanks on these trucks are also larger. There are also safety concerns when fueling or working with volatile natural gas. So far, three manufacturers are offering natural gas trucks, including Navistar International Corporation, Cummins Incorporated, and General Motors Company. Additionally, the EPA has approved a retrofit add-on which allows diesel trucks already in operation to also run on natural gas.